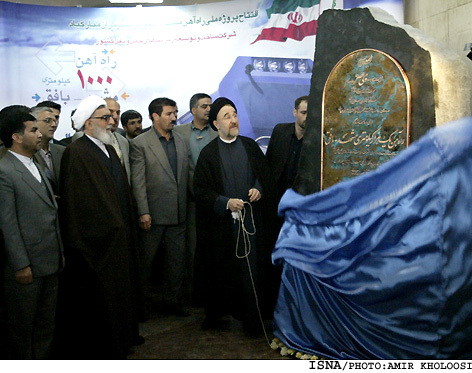 Mashhad, Khorassan-e Razavi, May 3, IRNA-President Mohammad Khatami inaugurated Mashhad-Bafq railroad in Mashhad on Tuesday. 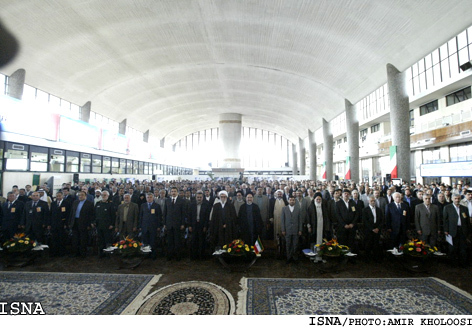 In a ceremony held Mashhad railway station, the president inaugurated the 1000-kms railroad which connects Mashhad to Bafq, in central Iran. The ceremony was attended by several ministers and top authorities from Central Asian states as well as senior domestic officials. The strategic railroad shortens the previous Mashhad-Bafq's transport route by 800 kilometers. The national project, the completion of which has taken Iranian technicians four years, cost the nation 4.5 billion rials (roughly $57 million). 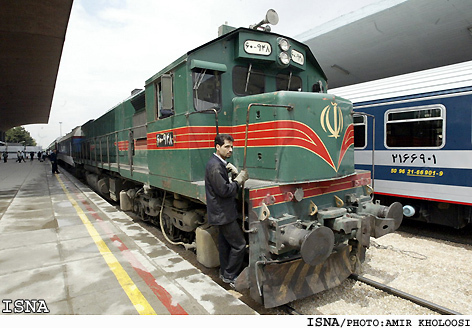 The 1,000-km Bafq-Mashhad Railroad joins Persian Gulf waters to Iran's central parts and Iran's northeastern neighbors. 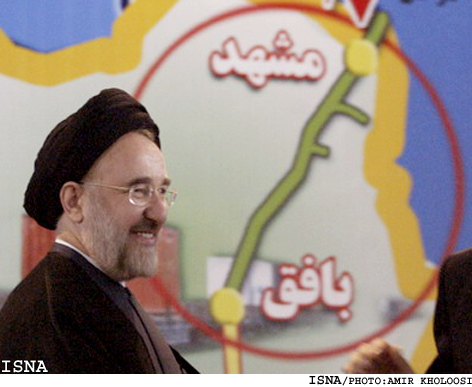 According to the country's roads and transportation minister minister, the construction of this railroad has practically joined the Iran's eastern, northern and southern provinces with the other parts of the country, and would boost transit of goods, particularly from Central Asian republics to the world through Iran.